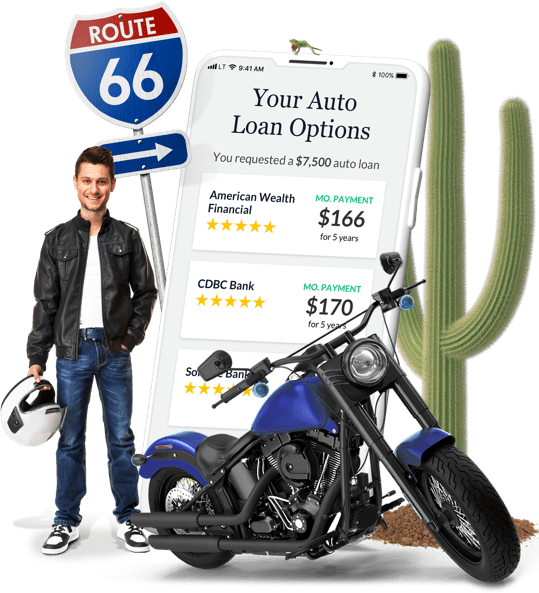 If you’re in the market for a motorcycle but don’t have the necessary cash on hand to make the purchase, then you are likely looking at getting an auto loan. LendingTree helps you compare auto loan rates from multiple lenders. It’s fast, easy, and best of all, free. Want to buy a motorcycle? We can help. Allow LendingTree to help with your motorcycle financing by comparing rates and terms from multiple lenders, making sure you get the best rate on your motorcycle loan. Our lenders offer loans on new and used motorcycles, including scooters and dirt bikes. If you have an existing loan, we can even help you with refinancing. Getting a motorcycle loan doesn’t have to be an adventure — we make it easy! Apply online with LendingTree and save your adventure for the road. Ready to finance your motorcycle? Similar to applying for an auto loan, you’ll need to have proof of income and your credit will need to be pulled. While the minimum credit score will vary by lender, the higher your score, the better interest rate you’ll receive. If you’re not sure what your credit score is, you can get your free credit score here, and then move forward with applying for your loan. If your credit isn’t where you want it to be, don’t worry. We have lenders that can help get you a good rate with less than perfect credit. Whether you know the exact motorcycle you want to purchase or you’re shopping around, getting prequalified will make the shopping and purchasing process easier and quicker. Going through our application process will provide you with a loan amount to work with, as well as rates and terms from up to five lenders which will help you get the best deal on your loan. Once you have these items, fill out a form with LendingTree to start receiving offers. 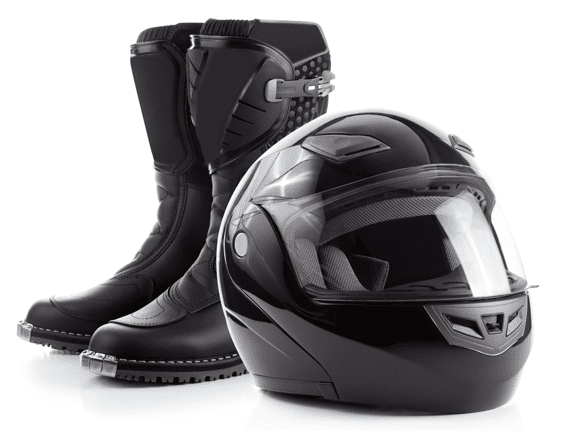 Should You Buy or Lease a Motorcycle? How to Qualify for a Powersport Loan?